Buying at auction is fun and easy. You can pick up a free bid card on the day of the auction or on preview day. You need a driver's license and address the first time you register. Then each succeeding time you come to an auction, we only need your name and signature. Please read all the terms of the sale before bidding at auction. We will have more than one auction ring going at the same time. All bidders have an equal opportunity to buy. Just raise your bid card or your hand to bid and you can be the winning bidder on the items you desire. What can I buy at auction? Almost anything can be sold at auction. 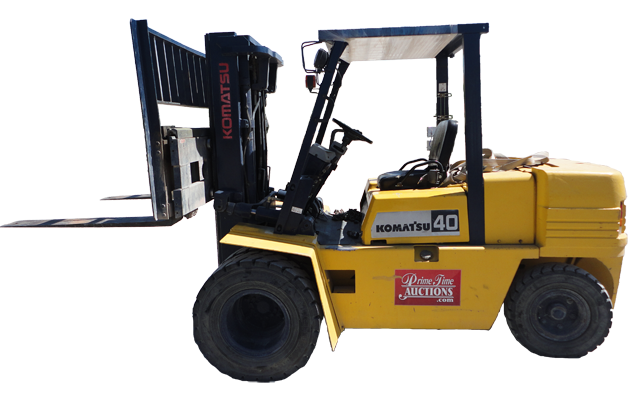 An auction is a great place to purchase a vehicle, tools and equipment, household goods, industrial items, decor and gift items, and even a kitchen sink. We also auction real estate. Many items are commercial quality. We have even sold items that are brand new. We encourage potential bidders to preview items before the auction. You can inspect items on preview day which is the day before the auction for our monthly auction. Check them out. Start the engine. See if the item works. We love that you know what you are buying. Every auction is different with different merchandise. If you see an item you want, be the highest bidder, because once an time is up for auction and sold, it will not be available again. Each month there is a live community auction held on the second Saturday and an online only auction on the fourth Wednesday. Many sellers consign a wide variety of items to auction. 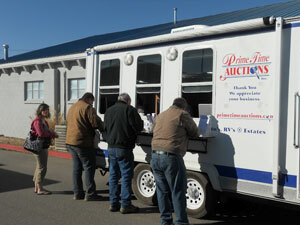 These auctions are usually held at our business location of 3400 S. 5th Ave., Pocatello, ID. During winter months, we hold them at a sheltered location. The home page shows all scheduled upcoming auctions. 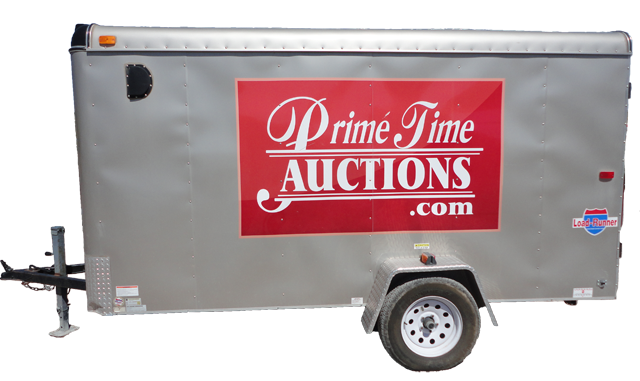 Some auctions are just one seller's items and are usually held at a separate location. The public is always welcome to any of our auctions. Ring one of our monthly community auctions begin at 9:30 am. The second and third rings will begin at 10 am and 10:30 am respectively. The length of the auction ring depends on the type and quantity of items. On our auction details page, scroll to the bottom of the page where you can view the estimated times for auction items to sell. These times are posted by the afternoon, the day before the auction. Where do you get the merchandise? Items are consigned to auction from individuals, businesses, banks and bankruptcy trustees. The exact consignor is confidential information. All items are sold "as is" and we encourage you to inspect prior to bidding. The majority of our sellers are motivated to sell and honestly disclose major unseen problems, which are then disclosed to bidder. We want the potential buyer to inspect each item prior to auction. People with similar interests are brought together at an auction. Many attendees return often, just for the fun of it. They want to see if they can find a "treasure." There are concessions at most auctions as well as seating, so come early to preview and get the best seats. Come see your friends or meet some new ones! 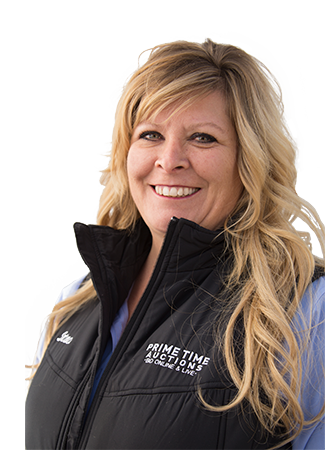 Prime Time Auctions, Inc. works hard to be honest, fair and ethical with all sellers and buyers. See you at our next auction.